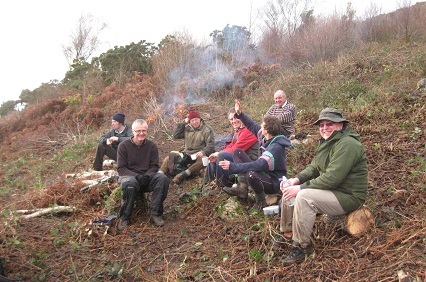 Today we will be at Warton Crag LNR, continuing our winter work with grassland restoration scrub-cutting and bonfire. Meet at the AONB office before 10am or on site at Ged’s Gate at 10.30am. PLEASE NOTE: please book your place in the Land Rover if wanting to travel from the office.